Called ‘Challenges’, the system works by gifting users CoinPot tokens for completing a wide variety of different daily, weekly and all-time tasks for which they earn stars. These tasks include the number of free bitcoin faucet claims you make per day, how many your referrals make, the number of lotteries you take part in and how many multiplier games you pay. The more actions that are completed through your account, either by yourself or your referrals, the more you earn. Each completed task is rewarded with stars. Once you reach a certain threshold these stars are then converted into CoinPot tokens which are credited to your account. These can be exchanged for the five crypto-coins currently supported by CoinPot – Bitcoin, Bitcoin Cash, Litecoin, Dash and Doge. In addition to this, each month the 25 users who collect the most stars will win prizes of up to 10 million CoinPot tokens. For those unfamiliar with CoinPot here’s a quick explainer: Launched in 2017, CoinPot enables free bitcoin faucet users to collect the tiny amounts of currency paid out from their claims into one, larger pot. This can then be either withdrawn to your bitcoin wallet, traded between the supported currencies or converted in to CoinPot tokens. The site owners have hinted that at some point in the future these will be tradeable for goods and vouchers. 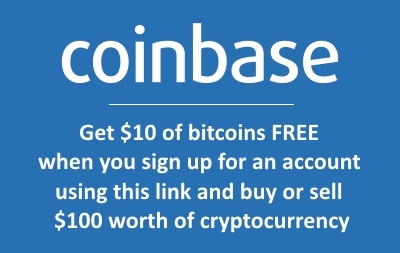 To get started with faucets and CoinPot you need to set up a free CoinPot account, have a bitcoin address (such as a free one offered by Coinbase) and sign up to the connected faucets using the links above. Once this is done, you can start claiming and earning straight away. Although the amounts paid per claim are small, if you’re persistent they will eventually add up into a usable sum. If you’re frustrated with the small claims you can start building a network of referrals to increase your earnings. 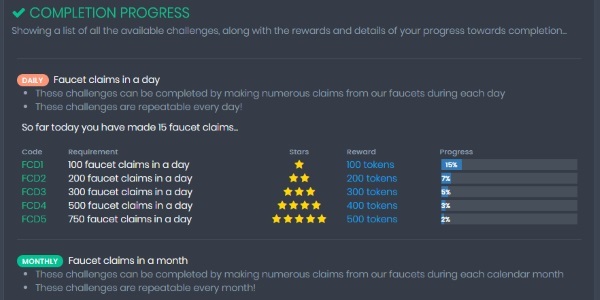 Each faucet provides a unique referral link to its users. If someone signs up using this you’ll earn a bonus each time they claim. The beauty of faucets is that they’re completely free – all you need is a computer and an internet connection to get started. CoinPot also offers an hourly lottery which you can enter using tickets bought with your free bitcoin faucet earnings. This means you get a chance to dramatically increase the amount of coins you have without having to buy tickets with your own money. It also offers a multiplier game where you can gamble your free bitcoins if you enjoy that sort of thing. Even though the game is completely fair, always remember the old line – the house always wins! You can also mine coins and tokens through CoinPot using your browser and this will also contribute to the number of stars you earn through the Challenges system. Free Bitcoin faucets are website which offer visitors tiny fractions of cryptocurrency in return for clicking through a captcha or completing other small tasks. They do this because they’re hoping you’ll interact with the advertising carried around the faucet and that the return on this will be greater than the money they pay out in faucet claims. There are thousands of faucets across the web. Some come and go quite quickly but the ones associated with CoinPot have all been around for a long time and are high-paying and completely legitimate.